This series is young at its third issue, and I have been waiting for that first issue to come through that finally bursts forth as something I can point to that says “This is what Angela: Asgard’s Assassin” is all about. She’s still being chased down by Thor, but it also turns out that she has a heart that has sacrificed for what she loves! Angela is a strange character, raised in a culture with some seriously screwed up values. It makes for good science fiction, but it takes some warming up to wrap one’s head around it. But I think we’re finally at that point, with a glimpse into the history between Angela and her dearest friend Sera. It is with this issue that Angela’s story finally leaps away from the She-Ra The Movie / Red Sonja mash up feel that had put some serious drag on my excitement for this book. No that there’s anything wrong with that mash up, because I would absolutely read that. But Angela is complicated, and a little crazy. She is definitely driven by very different things than either of those iconic lady warriors, and that difference is the story I’ve been waiting for. Kieron Gillen starts in this book to make good on that promise. It feels like a good start to what I hope will be a strong series. There’s plenty in here for both fans of Asgard stories and general comic readers, though the dialogue as always is a bit thick for non-Thor readers. I think this issue effectively establishes some distance from her Original Sin origin story, which was basically the plot of the 80’s cartoon She-Ra pilot (though I admit I kind of loved that). The values she was raised are really screwed up and I like the weird gray area she exists in morally. 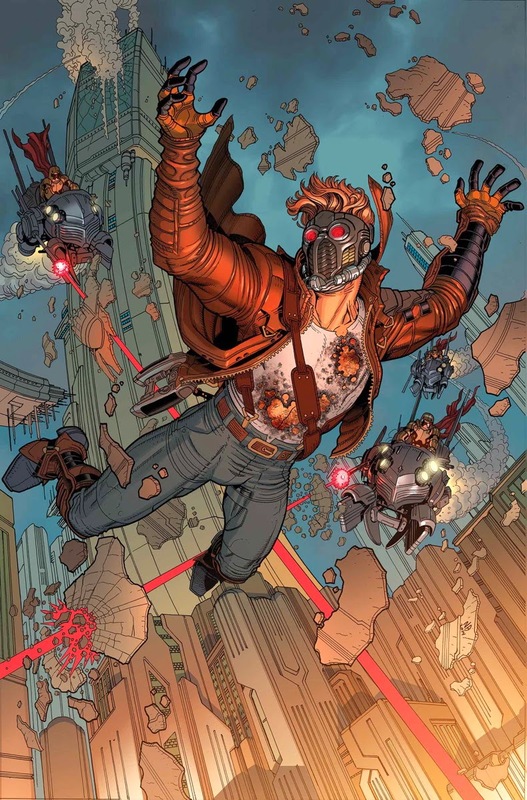 I look forward to next issue and reading what Kieron Gillen will do with this character. Behold the writhing, shuddering horror that is The Squidder, a nightmare made possible by Kickstarter and the darkness of Ben Templesmith‘s brain. The story is twisted across the remnants of Earth long after a bloody alien invasion by the Squid that left the broken mess of human survivors as a few scattered lumps of terrified peasantry worshipping their overlords, no memory left of the old world or the war that cost everything. But there are some who remember, soldiers who have lived too long, still burning with the hate for the Squid. These soldiers were the Squidders. There are cyborgs, there are grotesque tentacled genetic experiments, plagues, intense sword and gun violence, and giant flying squid overlords. Ben Templesmith’s art is so creepy surreal that it’s a little anxiety inducing. He gets horror. I get chills looking at some of the panels. There’s something organic about this world of shadows and filth that just drills into you. If you’re into horror comics, you must read this book. If you enjoy H. P. Lovecraft or anything even remotely tied to Cthulhu, you must read this book. 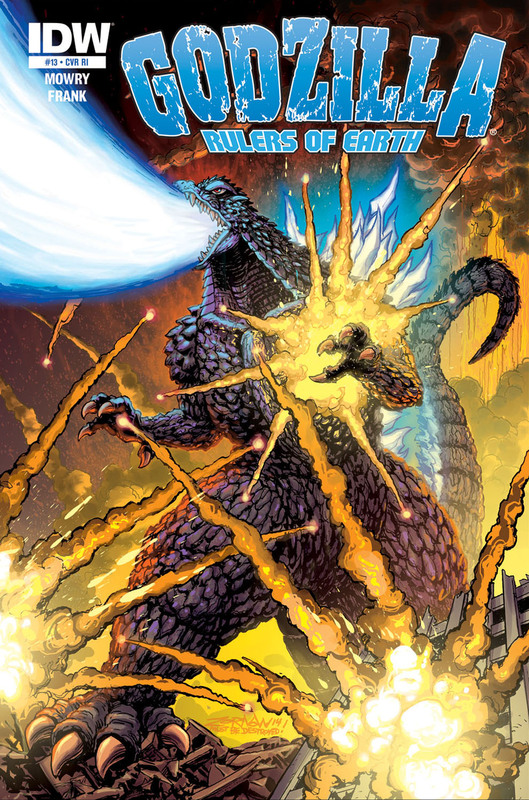 IDW is currently publishing it in a 4-issue run that you can pick up at most comic shops. Issue 2 came out last week. It will be available in hardback in September, from 44Flood, and is available for preorder now. I love Saturdays. We walked to the diner around the corner for pancakes this morning, and after that we rescued Reed’s vintage Star Wars toys from his parents’ attic (pictures of the diorama coming soon). We even went to the comic book store. I just burned through every single thing I picked up at Austin Books and Comics this afternoon. It was awesome. 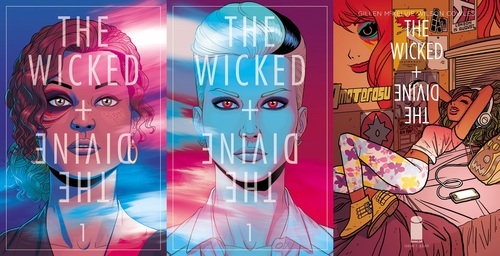 If you pick up a new series this month, make it The Wicket+The Divine. The writing is fantastic, the art drags you into Rock Star Fantasy London before you know it, and the scope of the story that’s being set up in this issue is mind blowing. One issue and I’m completely hooked. Funny, smart, and empowering. Worth jumping into. Now on its third printing, I picked this book up at the recommendation of Rachel at Austin Books and Comics. It’s nice when they know what you like. Rulers of Earth is the gift that keeps on giving. After the heart-wrenching cliffhanger of issue 12, we are now pulled into a future where Monster Island is well established to the point that the US government can start being jerks about funding the project that keeps us safe from monsters. Keep this book going, guys, please don’t stop. 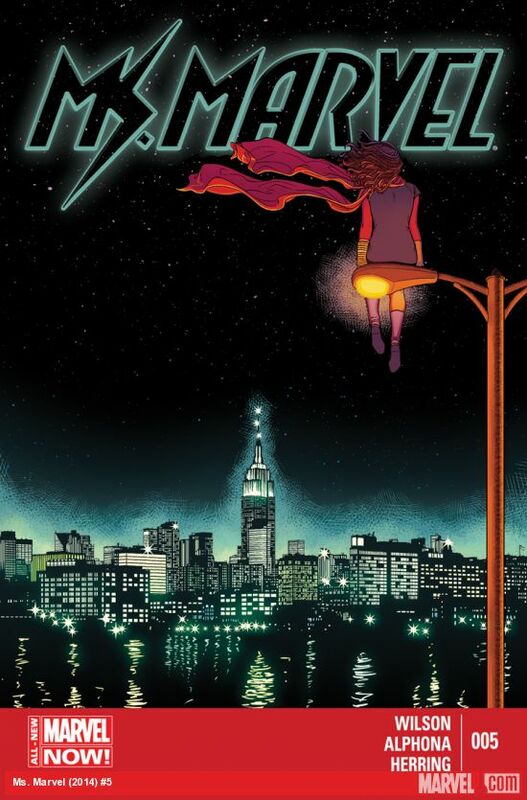 Kamala Khan starts to learn the hard lessons of hero-ing, and going on that journey with her is so much fun. This book continues to fresh and original, with a rich, interesting set of characters. Lots of action, and some Captain Marvel. The story is still spread out around several different threads because of the situation the Guardians are in. I haven’t really been reading this series until recently. I picked up of GotG #15 a couple of weeks ago mostly because I was confused about the timeline of the crossover with Captain Marvel. She was featured on the cover of CotG #15, but wasn’t actually in the book. This time around, however, she’s actually in the story. It still doesn’t line up with the most recent issue of Captain Marvel, however, so I’m not sure what’s going on. I haven’t read any of this run of GotG before #15, but since it’s pretty early in this arc I’m piecing it together without too much trouble. I do want to read the earlier issues, and will do so when my budget lets me.